Air France took delivery of its fleet’s latest addition – the company’s seventh Boeing 787 to arrive at its Paris-Charles de Gaulle hub. This new aircraft, which is also the Air France-KLM group’s 20th Boeing 787, marks an ambition to pursue Air France’s fleet modernization. The aircraft will spend a few days in the hands of professionals from the Air France Industrial Division before operating its first commercial flights. In spring 2019, the company will take delivery of two additional aircraft, bringing the Boeing 787 fleet to a total of nine aircraft. 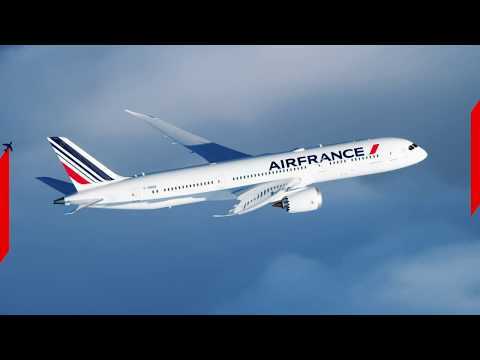 In the 2018-2019 winter season, Air France’s Boeing 787s are crisscrossing the skies and transporting customers to Boston, Detroit, Bogota, Guangzhou, Osaka, Bamako, Abidjan, Nairobi and Malé. The arrival of this seventh aircraft will allow the company to also serve Panama City, previously served by Boeing 777. Watch the video illustrating the comfort and assets provided by this new-generation aircraft. A significant reduction in CO2 emissions ( about 20%) as well as noise emissions.